As with any cosmetic procedure or drug administration, there are associated side effects and risks with Botox injections. Most of these can be minimized by using a board certified plastic surgeon or dermatologist to perform your injections. A lot of doctors can perform the injections, but not many have the experience and training to give you the results you have paid for. You will pay a bit more to have the procedure done in a doctor’s office, but isn’t your face worth it? Botox has been well studied and documented in clinical trials, including Botox injections for cosmetic purposes (removal of fine lines and wrinkles). Although most people do not experience any side effects associated with Botox injections, side effects are possible. Most commonly, patients report mild side effects associated with Botox injections, including flu-like symptoms, nausea, headache, drowsiness, dry mouth, dizziness, anxiety, bleeding at the injection site and pain at the injection sites. When Botox was used for non-cosmetic reasons, additional side effects were reported, including facial pain, indigestion or heartburn, tooth problems, upper respiratory infection, neck pain, difficulty swallowing, vertical misalignment of the eye, and high blood pressure. On occasion, patients have reported drooping eye muscles or muscle weakness at the injection sites. When reported, this side effect was most commonly resolved within days, but there have been rare reports of it taking months to resolve. Usually, side effects are mild, and either required no treatment or are easily treatable. Some uncommon side effects reported with Botox include chest pain, eye pain, speech problems, double vision, or signs of an allergic reaction, including rash, hives, itching, wheezing, difficulty breathing or swelling. If you experience any of these side effects, contact your healthcare provider immediately as they may be potentially serious. A possible sequelae of improperly administered Botox injections is unsatisfactory wrinkle reduction. This is most commonly caused by improper injection site selection. An inexperienced physician may inject right over the wrinkle instead of over the muscle that needs to be relaxed. A good way to minimize this risk is to ask to see before and after photos and ask how many injections your doctor has performed. The best way to avoid any side effects associated with Botox injections is to follow your doctor’s take home instructions to the letter. Some cosmetic surgeons may recommend avoiding sun exposure. You most likely will not experience any of these side effects that are described in this article. 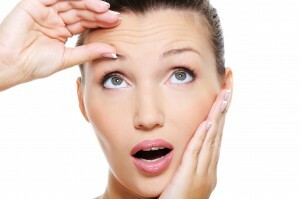 Sometimes it is difficult to tell if a side effect or symptom is caused by Botox or another factor. Make sure you doctor knows any and all medications you are on in addition to the Botox injection, and your healthcare provider should be able to help you sort out the symptoms. Also, this article does not cover all the possible side effects of Botox. Your doctor can give you a more complete list of side effects associated with Botox injections.